OzTAM, the official ratings ‘umpire’, has released its final reports for the calendar year 2018. The reports include consolidated audience figures for the Top 20 programs, Top 20 multi-channel programs, the most time-shifted programs and where each free-to-air network and channel ended the year. Plus there are rankings for the Top 20 Subscription TV programs and time-shifted programs. 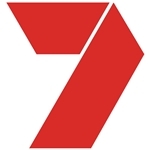 At individual channel level: Seven (20.6%, up 0.6), Nine (18.6%, down 0.8), Ten (12.3%, down 0.5), ABC (12.1%, down 0.1), SBS (5.6%, up 0.3) followed by multi-channels 7mate (4.0%), 7Two (3.7%), 9Go (3.6%), 10Bold (2.9%), ABC Kids/ABC Comedy (2.8%), 9Gem (2.7%), 10Peach and 7Flix (2.2% each), 9Life (2.1%), ABC News (1.4%), SBS Viceland (1.2%), SBS Food (0.9%), ABC Me and 7Food (0.8% each) and NITV (0.2%). During the year, One became 10Bold (after a brief stint as 10Boss) and Eleven became 10Peach. Channels not included in the survey include YourMoney (Nine), TVSN and Spree (Ten), Racing.com (Seven) and community TV stations C31, WTV and 44 Adelaide. 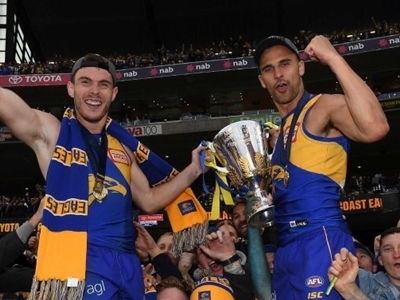 Seven topped the Top 20 programs list with AFL Grand Final (Presentations) followed by West Coast Eagles versus Collingwood. NRL Grand Final and State Of Origin on Nine filled the rest of the top 5. Of the reality show “winners announced”, The Block was highest ranked, followed by Married At First Sight and My Kitchen Rules. The wedding of Prince Harry and Meghan Markle, the Melbourne Cup and the opening ceremony of the 2018 Commonwealth Games all made the top 10 for Seven. SBS made two appearances in the Top 20 with FIFA World Cup broadcasts, while Ten and ABC did not make the Top 20 at all. No mention of news, current affairs, dramas or any other programming making the Top 20 — possibly pushed out by the practice of coding separate sections of longer programs taking up multiple slots. 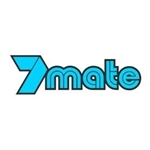 Almost a clean sweep for 7mate, dominating the list with AFL, Winter Olympic Games, Cricket and the Australian Open. ABC Kids sneaks in a few entries with Peppa Pig and The Highway Rat. 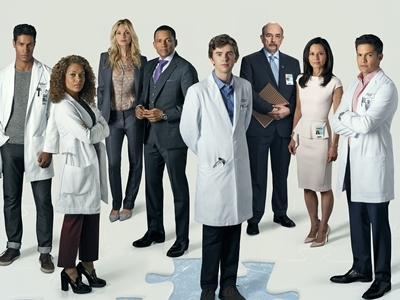 This is the list where drama dominates, with Seven well represented with US dramas The Good Doctor, God Friended Me, The Resident and 9-1-1 and local titles 800 Words, The Blake Mysteries: A New Beginning and Olivia Newton-John: Hopelessly Devoted To You. ABC ranked high with the Spicks And Specks Reunion Special, and Nine made the list with Underbelly Files and Manifest. SBS made the list with Dead Lucky and The Handmaid’s Tale, with the latter adding a huge 134% onto its overnight figures. A clean sweep for live sport on Foxtel with AFL finals and Twenty20 dominating the top spots. Hard to say but I think there’s a t.r.e.n.d. here. 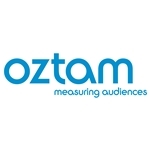 Data © OzTAM Pty Limited 2019. The Data may not be reproduced, published or communicated (electronically or in hard copy) in whole or in part, without the prior written consent of OzTAM.